If you are looking for an e-bike with unique styling, a mid drive motor, a high capacity battery, and assembly in the USA, then you should checkout the Energie Cycles 2.6td. This mid drive e-bike is priced at $2,400 at the time of this review. 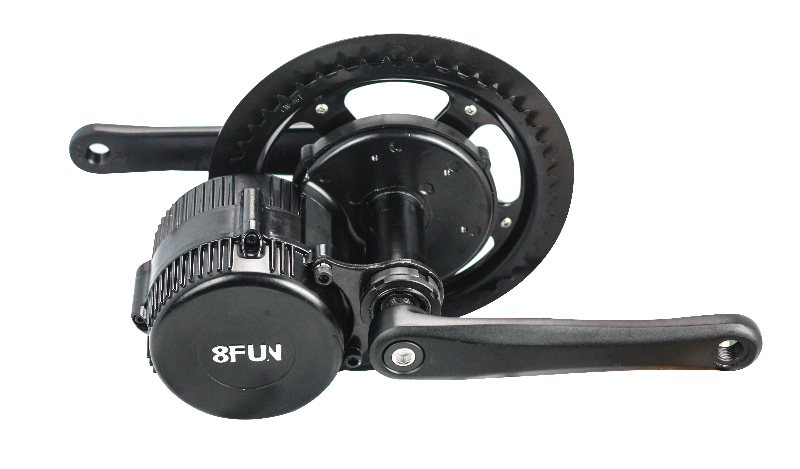 Starting in January 2014, Energie Cycles will offer the new Bafang 350 watt mid-drive motor package on the 2.6t and the 500 watt mid-drive system on the 2.6tm, adding as much as five times the torque while slightly reducing the overall weight. This is a press release from Energie Cycles. 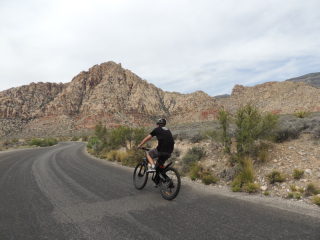 New electric bike guided tour program takes Las Vegas visitors through the million year old rock formations of the Red Rock Canyon National Conservation Area. Energie Cycles gives everyone the chance to experience the vistas of the Red Rock Canyon National Conservation Area located on outer edge of Las Vegas, on a bicycle. While the 13 mile visitor loop that winds along the base of the brightly colored sandstone formations is paved, it offers significant elevation changes perfect for the E Bike. 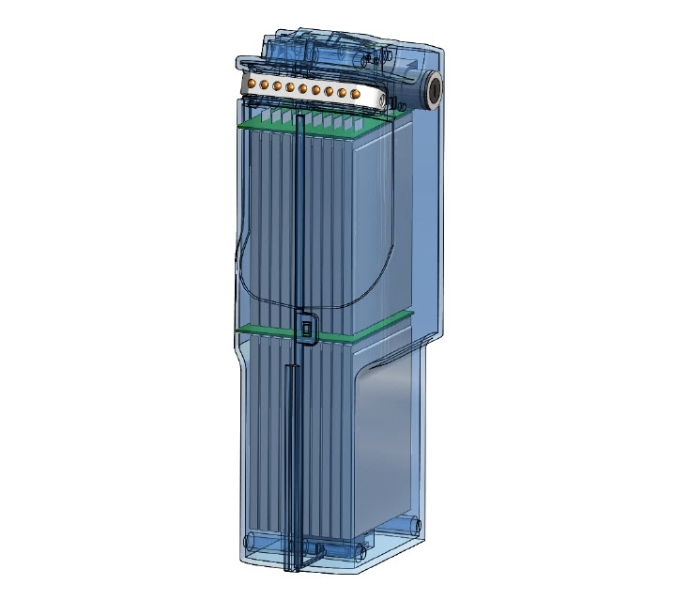 Las Vegas, NV – With reports of dramatic growth within the electric power-assist bicycle market, one of the most important components often overlooked, are the lithium battery packs. 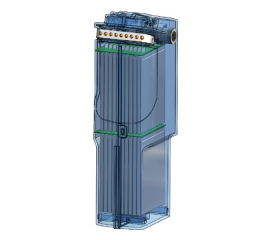 Considered the most expensive component on today’s leading e-bikes, the rechargeable power source is an outsourced part for all except Energie Cycles. 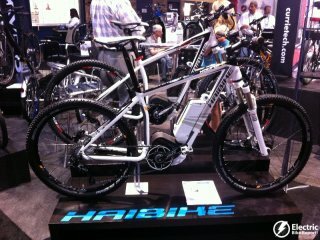 Time for more electric bike pictures and videos from Interbike 2012! Make sure to check out Part 1. Let’s start this part off with the electric mountain bike scene. 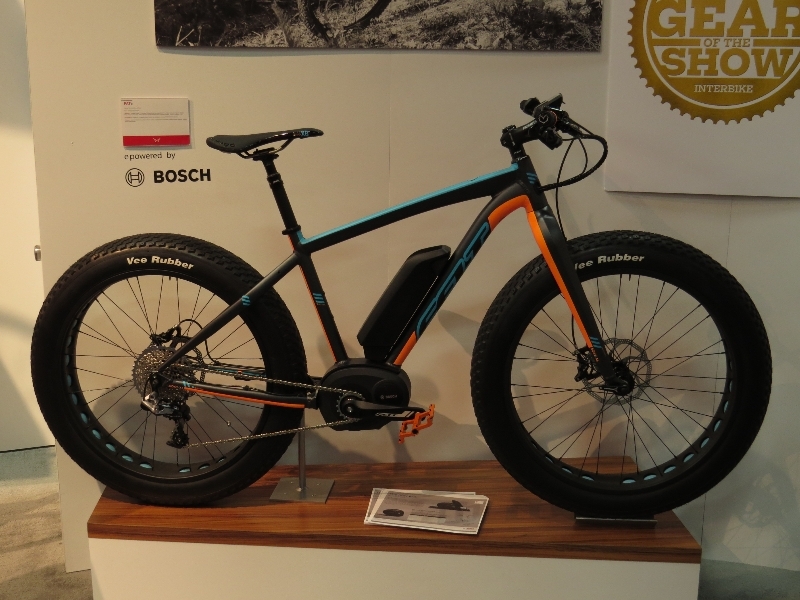 E-mountain bikes are a growing niche in the electric bike world and they allow more riders to experience rides that they may not be able to do on their own. The Energie Cycles 2.0t Special Edition electric bike. A donation to breast cancer research will be made for each bike sale. This is a press release from énergie cycles. Energie Cycles 2.6tm electric mountain bike. Backed by one of the largest Lithium cell manufacturers in China, énergie cycles will be helping the Southern Nevada economy by creating a new warehouse and production facility and adding technical assembly jobs for its new line of premium electric power-assist bicycles. One of the new trends in electric bikes is the electric mountain bike or electric conversion kit for mountain bikes. 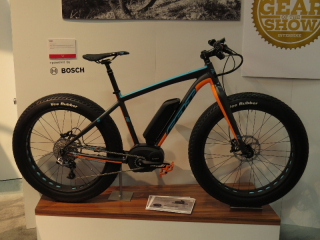 An electric mountain bike may sounds strange at first, but it does have it’s place. I am putting together this guide to give you an idea of what electric mountain bikes and kits are available. First of all let me give you an idea of why they even exist.